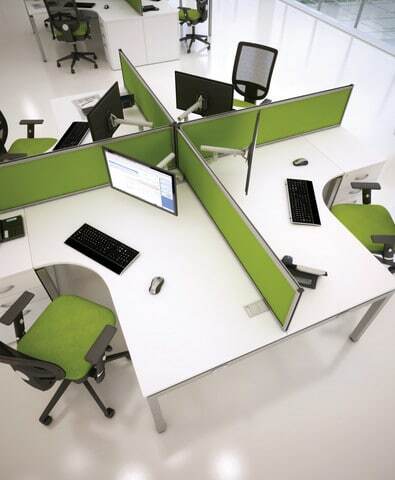 25mm thick table tops are edged with impact resistant ABS edging and all metal work is epoxy powder coated, making these workstations robust and durable. 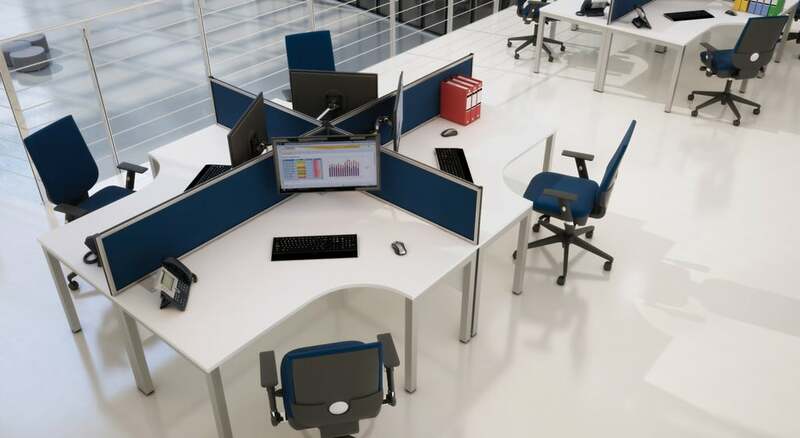 Available with angled or straight legs, Bench² Workstations can share end frames on back to back or side to side units, resulting in a cost effective and space saving configuration. 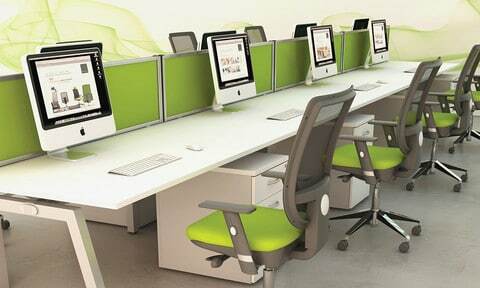 Any accessories such as monitor arms are fixed to the top via cable ports, meaning all wires are kept neatly away from the desk. Optional cable trays, desk dividers and power and data modules are available to boost the functionality of the workstation.